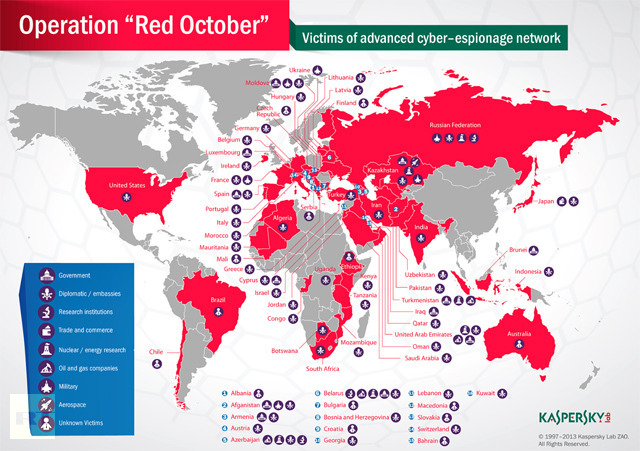 A sophisticated cyber-espionage network targeting the world’s diplomatic, government and research agencies, as well as gas and oil industries, has been uncovered by experts at Russia’s Kaspersky Lab. The system’s targets include a wide range of countries, with the primary focus on Eastern Europe, former Soviet republics and Central Asia – although many in Western Europe and North America are also on the list. 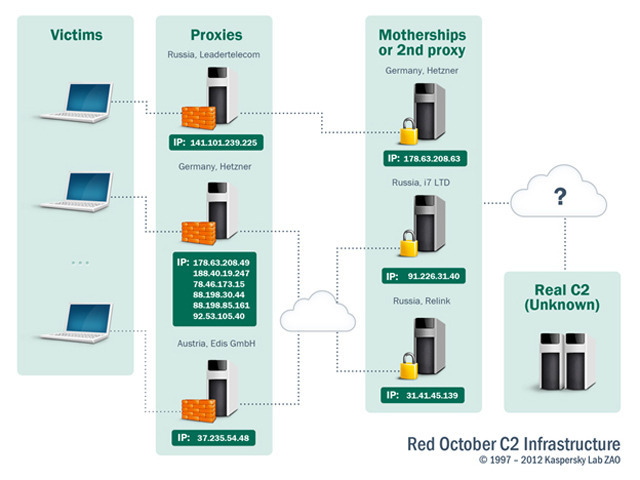 Unlike other well-known and highly automated cyber-espionage campaigns, such as ‘Flame’ and ‘Gauss,’ Rorca’s attacks all appear to be carefully chosen. Each operation is apparently driven by the configuration of the victim’s hardware and software, native language and even document usage habits. That malicious server’s location remains unknown, but experts have uncovered over 1,000 modules belonging to 34 different module categories.While Rocra seems to have been designed to execute one-time tasks sent by the hackers’ servers, a number of modules were constantly present in the system executing persistent tasks. This included retrieving information about a phone, its contact list, call history, calendar, SMS messages and even browsing history as soon as an iPhone or a Nokia phone is connected to the system. The hackers’ primary objective is to gather information and documents that could compromise the security of governments, corporations or other organizations and agencies. In addition to focusing on diplomatic and governmental agencies around the world, the hackers also attacked energy and nuclear groups, and trade and aerospace targets.